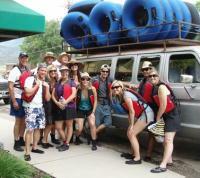 RIGS features the regions finest Fly Shop, Fish Report, Fly Fishing Guide Service (Walk Wade, Float Fishing Tenkara), family Whitewater River Rafting Trips (Rafting & Kayaking), Stand Up Paddle Boarding (rentals & instruction) and River Tubing. 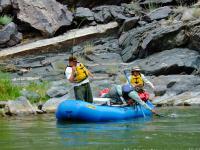 RIGS Whitewater has the most comprehensive guided access in the region including the lower Gunnison River: (Gunnison Gorge / Black Canyon & Dominguez Escalante sections), Uncompahgre River and San Miguel River. 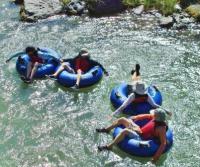 Experience class II to IV rapids with ½ or full day family Rafting Trips, Multi-Day Rafting adventures or fun Inflatable Kayak Trips. Not interested in rafting? RIGS offers (SUP) Paddle Boarding Rentals & Instruction along with River Tube Rentals and shuttles with great water only minutes from the RIGS shop in Ridgway. 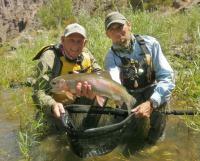 RIGS offers the highest quality Guided Fly Fishing (Walk Wade & Float Fishing) on top fisheries like the Gunnison River: Gunnison Gorge/Black Canyon, Uncompahgre River (Pa-Co-Chu-Puk), San Miguel River, and Cimarron River. 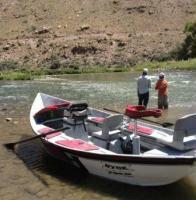 Our full day Drift Boat trip down the Gunnison offers the discerning angler a unique experience on Gold Medal trout waters in one of our customized and comfortable boats. 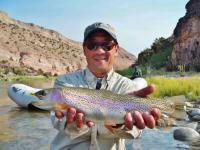 Guided trips on these rivers range from ½ Day to 5 days and include flies & tackle. Riverside lunch is provided on full day trips. 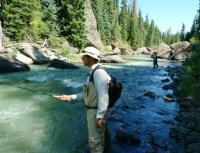 Rental gear (fly rod, reel, waders & boots) is also available. 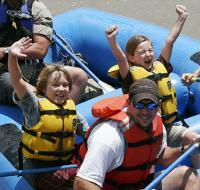 Family Rafting RIGS Family Whitewater Rafting Trips are for everyone! 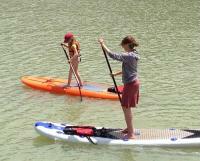 More Family Adventures including River Tubing and Stand-up Paddleboarding! Montrose to RIGS ? 30 minutes * From Montrose, HWY 550 S for 26 miles. This brings you to Ridgway. At the traffic light (only one in Ouray County), turn R onto HWY 62, we are on the R past city park.